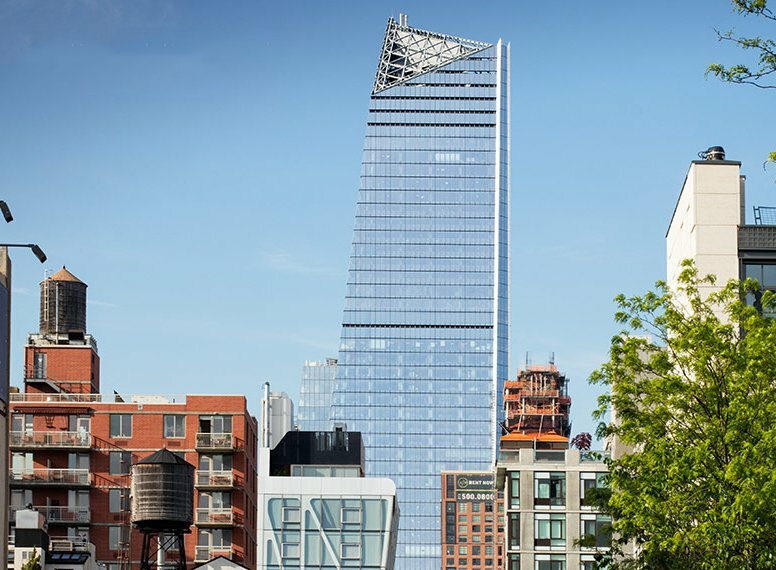 10 Hudson Yards, the first building in what is one of the country’s largest construction sites, is officially open for business on Manhattan’s far west side. 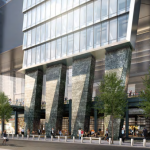 Fashion brand Coach is in the process of moving its headquarters to the 900-foot, 52-story mixed-use structure–known as Coach Tower–from its former location a few blocks away, the Wall Street Journal reports. 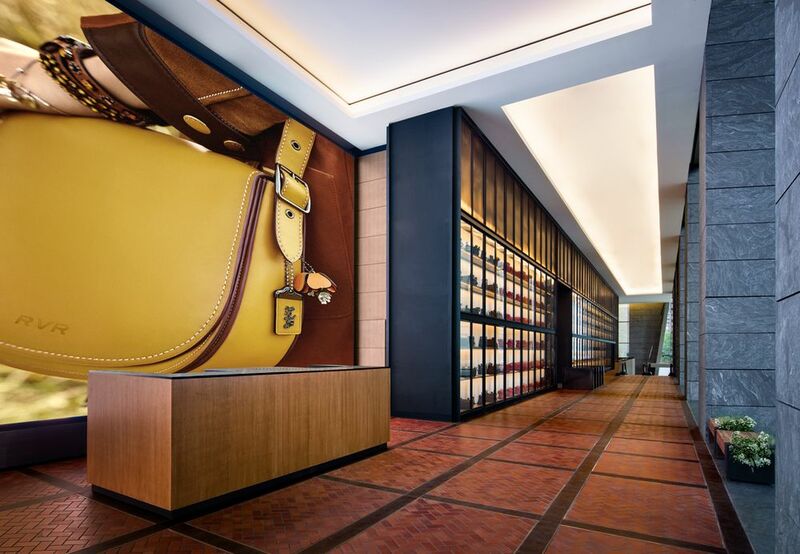 For the luxury brand, the move represents an important milestone in a quest to re-establish its upscale image. 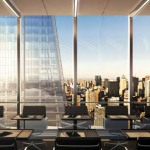 The deal to move into a 738,000-square-foot office in the Kohn Pederson Fox-designed building made headlines when it was announced in 2013. 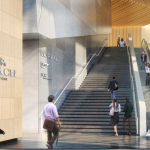 Coach invested $750 million to buy the retail condo space for its new headquarters. 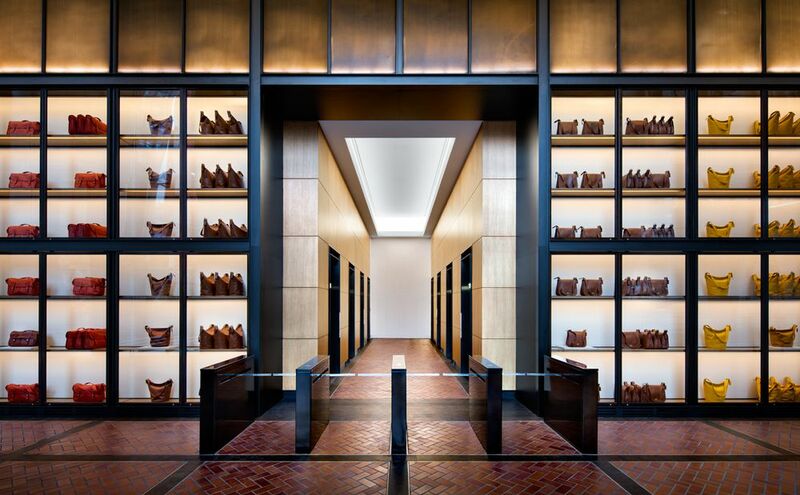 Coach’s design team worked with STUDIOS Architecture on their new workspace and dedicated entry lobby, which will feature a replica of the company’s famed product library: On display will be 2,000 handbags from past times to present, viewable by High Line visitors. 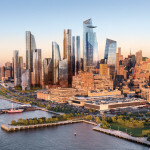 For the west side development, the milestone comes on the heels of a recent projection that it will add $18.9 billion to the city’s GDP. 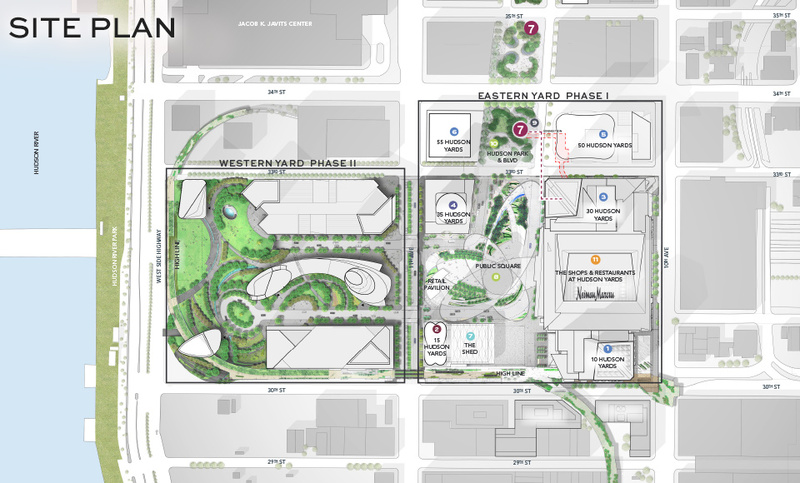 Developers Related Cos. and Oxford Properties Group will spend over $20 billion to populate the rail-yard platform development with commercial and office space, apartments (including affordable housing) public green space and more. 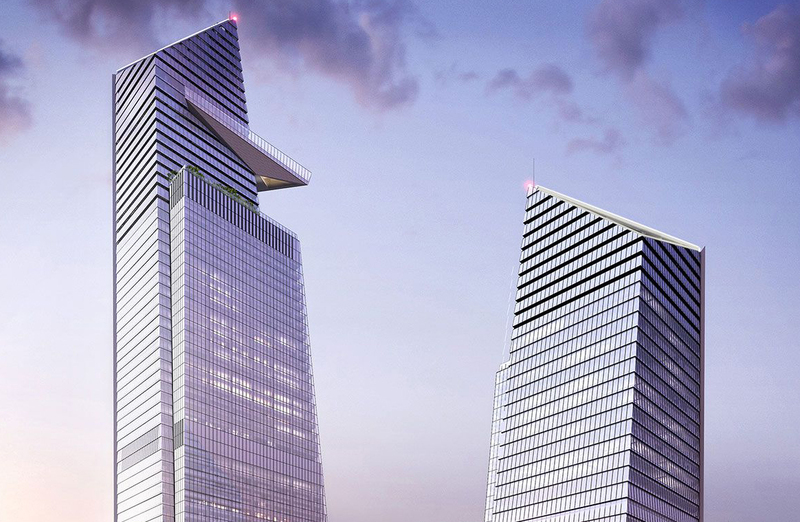 The new building’s opening is an important sign that the investment is paying off. 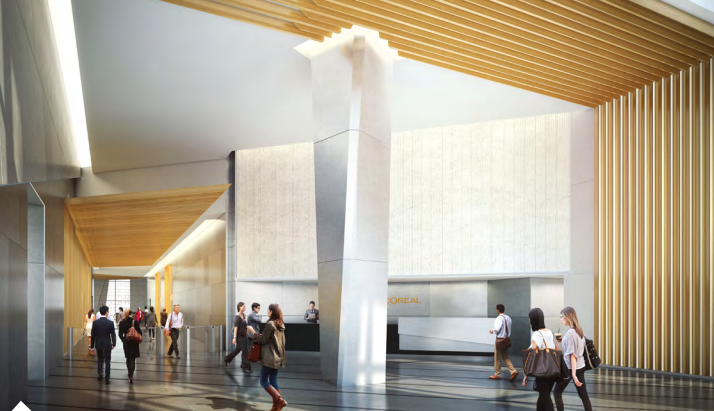 Coach lobby, 10 Hudson Yards. 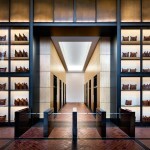 Images: Steve Freihon for Related Oxford. 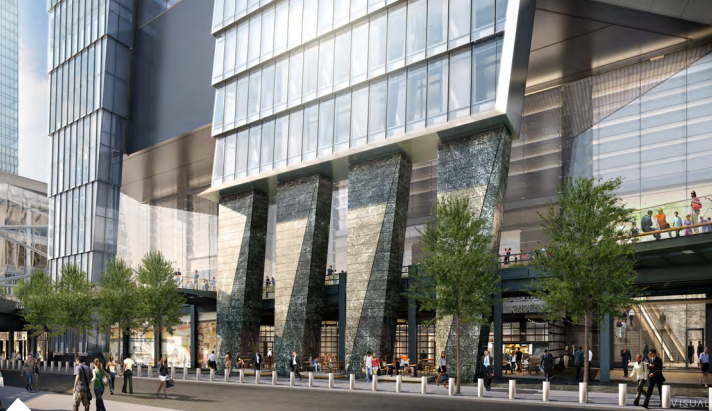 10 Hudson Yards market entrance at 30th Street. 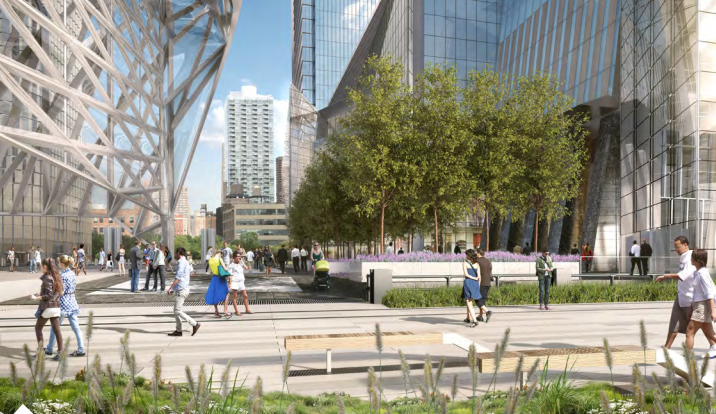 Public plaza entrance at the High Line and Culture Shed. 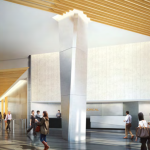 10 Hudson Yards west lobby. 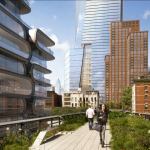 Other tenants slated for occupancy in the building include Boston Consulting Group, Intersection, L’Oréal, SAP, Sidewalk Labs and VaynerMedia. 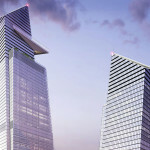 Five additional buildings at the site are currently under construction as the project picks up steam, including the much-discussed retail building that will be home to the New York City’s first Neiman Marcus store. 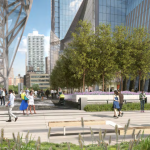 Last fall, the 7 line subway station at Eleventh Avenue and 34th Street opened with one-stop access to Times Square. 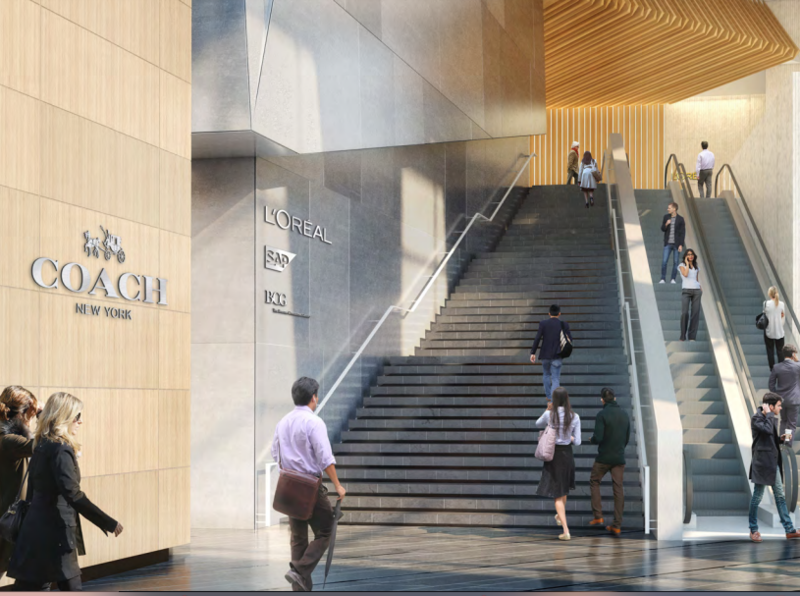 The newly-minted station features a lengthy diagonal escalator bringing commuters to the front-door of the huge mixed-use project.